SINGAPORE, January 26, 2016 — /EPR BIOTECH NEWS/ — Austrianova announced today that, having completed the set up of its new GMP facility, it is now offering clients a GMP cell banking (Master Cell Bank and Working Cell Bank) as well as a “Fill and Finish” service for cell therapy products, in addition to its encapsulation services and technology. 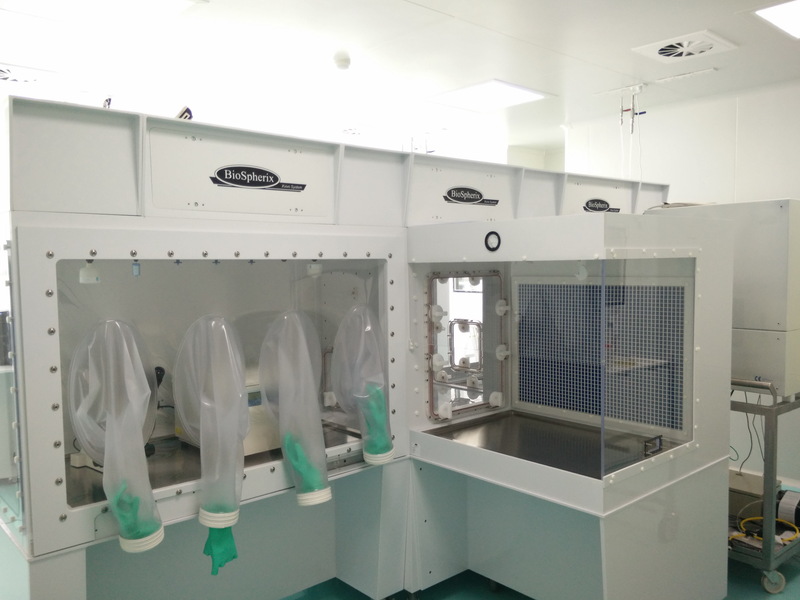 Austrianova is able to offer the production of Master Cell and Working Cell Banks (MCB and WCB) at the size scale required for early (phase 1 and 2) stage clinical trials at highly competitive prices using its state of the art isolator based production facility, assuring that the highest quality standards are adhered to. The company can also fill bulk cell product into syringes or vials in its GMP facility. This new cell banking and filling service is called GMP4Cells. MCB’s and WCB’s are required for all cell therapy products such as stem cell therapies as well as biologics produced from cells such as vaccines, antibodies, recombinant proteins etc. Similarly, many companies, including those developing stem cell lines and products, are seeking high quality economic fill and finish for relative small lots. “We see this as a natural add-on to our already established Cell-in-a-Box® cell encapsulation technology for which we have recently set up a GMP manufacturing facility in Thailand. This kind of MCB and WCB production as well as “Fill and Finish” services for cells are, however, stand alone services. Although these services are generally available to all customers, they should allow start up companies and academic based cell products, vaccines etc to enter clinical trials in a quality assured manner but at lower cost that other, more conventional, cell banking companies offer” stated Walter H. Gunzburg, Chairman and CTO of Austrianova. “In addition to our state of the art facility, Austrianova offers services that comply with major international regulatory agencies using a customized German/Swiss based quality assurance system. Our team has many years experience with regulatory agencies around the world and has taken cell therapies into clinical trials” said Brian Salmons, CEO. More information about the GMP4Cells cell banking but also the Cell-in-a-Box® and the related Bac-in-a-Box® encapsulation services can be found on our newly revamped website www.austrianova.com. Austrianova, part of the SG Austria Group, is a biotech company with a global footprint and headquarters in Singapore. Austrianova utilizes a novel and proprietary technology for the encapsulation of living mammalian (Cell-in-a-Box®) and bacterial (Bac-in-a-Box®) cells. Cell-in-a-Box® protects the encapsulated cells from rejection by the immune system, allows cells to be easily transported, stored and implanted at specific sites in patients. The technology, which has been proven safe and efficacious in clinical trials carried out in Europe, allows companies to develop any kind of cells as a one-for-all living pharmaceutical. Bac-in-a-Box® is a similar protective device adapted for encapsulation of probiotic bacteria where it has human food and animal feed applications due to its ability for extending storage under lyophilized conditions and protection in stomach acid. S-ACQUISITION CORP COMMENCES TENDER OFFER OF ASTRA LOGICS, INC.